Most "over the counter" interpolation methods like bicubic spline will work fine for small to medium size prints. Fact is, if you have a 6 MP or larger image and you never print beyond 8x10 inches, you may not see (or need) more than the bicubic interpolation found in your image editor. But what if you crop your image? What if you want to print one photo at 24x36 inches or beyond? For these more demanding tasks that require more extreme resampling, you need a "prescription strength" interpolation algorithm like the new Fusion interpolation found in Qimage Ultimate. Only Qimage Ultimate offers interpolation of this quality and speed. 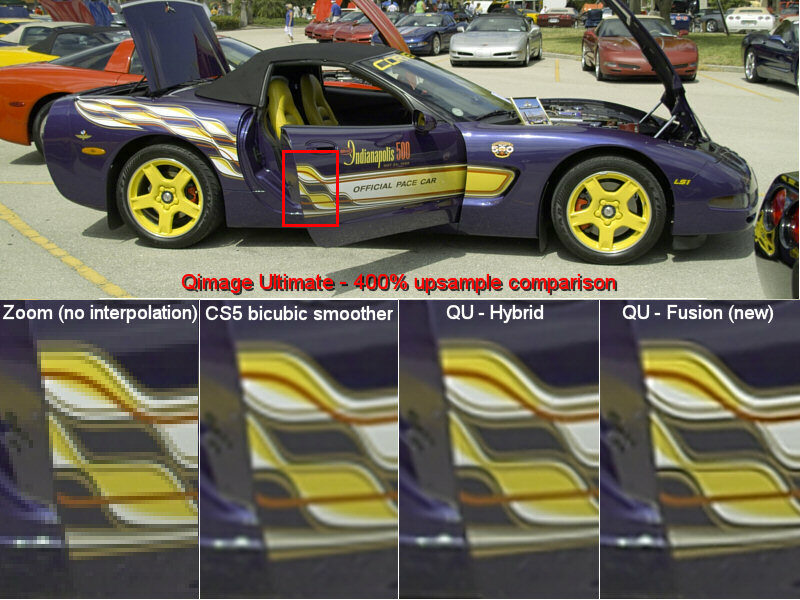 As always, give Qimage Ultimate a try and see for yourself.